Just released a new version, check it out here: https://goo.gl/FHmjfJ. Improved sluggish gameplay on slower devices. Other various bugfixing seriously not deserving more details. 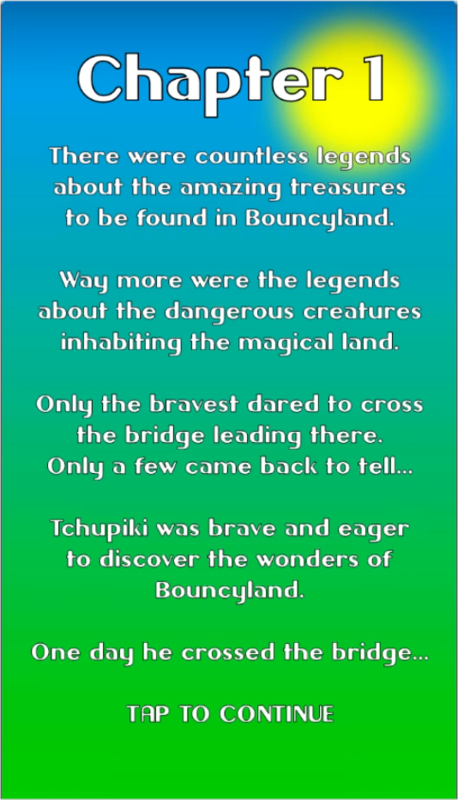 Also released a few new clips on Youtube to show the latest version of Tchupiki in Bouncyland. I’ve just released an update for Tchupiki in Bouncyland. I’ve added some cutscenes to give the game more depth. The first one is at the beginning of the game (Adventure Mode). P.S. I’ve also fixed a few minor bugs .